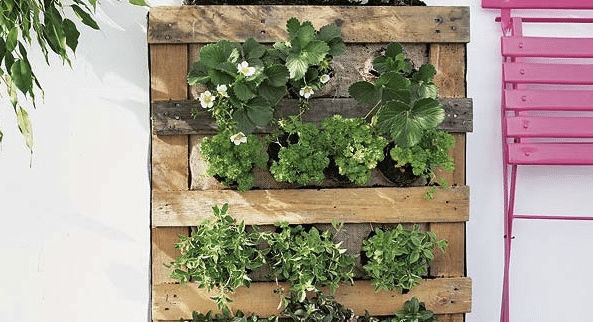 Over at DIY Enthusiasts, they built a vertical wood wall for garden plants from discarded pallets. Love the simplicity of it. If you want to build one of these for your balcony, terrace, or deck, check out the details of how they build it at the link below.